You are here: Home / Blog / Careerhub / Returnships – what are they and is it for you? Returnships – what are they and is it for you? Returnships are on the rise and are helping hundreds of women across the UK get back into work after starting a family. According to the Women Returners Network there are 44 Returnship schemes being run in 2018. And research conducted by PwC reveals that addressing the career break penalty for women could boost the UK economy by £1.7 billion. But what exactly is a Returnship and how would it benefit you? A Returnship is a placement, similar to an internship, only aimed at highly skilled job seekers who have taken an extended period out of work, typically to raise a family, and need to refresh their skillset. With 73% of qualified women leaving Scotland’s STEM sector and 3 in 5 professional women returning to lower skilled or lower paid work following a career break, Returnships can be great opportunity for women. A Returnship is a placement, similar to an internship, aimed at skilled job seekers who have taken an extended period out of work. Lack of access to flexible working and the perception that women’s skills are outdated are two common barriers women face when returning to work. Typically companies with a Returnship scheme understand these challenges for women and already provide flexibility within their workforce as well as recognise that returners bring invaluable knowledge, experience and expertise to the organisation. Lasting anywhere between 3 – 6 months a Returnship is designed to be a bridge back to more senior roles and is usually centred on a specific project that the individual can take ownership of. This experience can help secure a permanent role or provide high level experience putting women in a strong position to apply for senior roles else where. Moreover, Scotland is currently experiencing a huge skills shortage, particularly in the STEM fields and a Returnship provides employers with an opportunity to find experienced talent while also providing women an opportunity to refresh their skills, re – build confidence and return to senior roles. Last year Pinar participated in Equate Scotland Women Returners Programme after moving Scotland from Turkey five years ago. Pinar struggled to find a STEM job relevant to her expertise and qualifications especially as she has a young family and was looking for quality, flexible work. Pinar was a post-doctoral researcher for four years and had a PhD in Physics-Chemistry as well as a MSc in Physics Engineering. 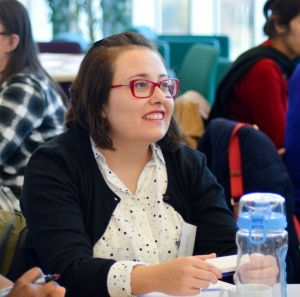 When she moved to Scotland she initially used her skills to do some chemistry teaching and fill in at local schools where needed, however, Pinar wanted to find work in an academic space or a laboratory setting. Participating in the Equate Scotland Women Returners programme enabled her to secure a Returnship placement at Eurofins, a life sciences company based in Edinburgh. The Returnship was initially for for three months but was then extended to six. The Returnship was as a stepping stone back into the lab while still providing flexibility. Since the end of her placement Pinar has gone onto find a permanent role in the life sciences sector. 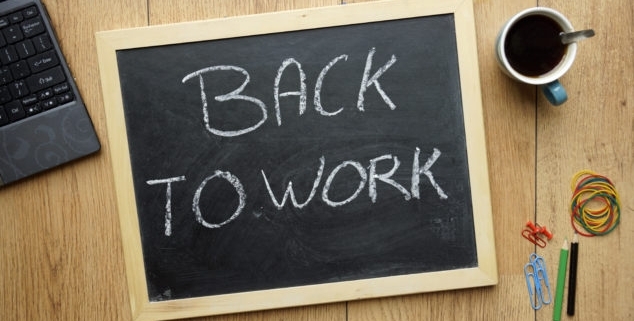 If you are ready to return to work after a career break a Returnship may be the right opportunity for you. FDM are currently recruiting for their Back to Business Returnship scheme that you can check on out the Equate Careerhub. Apply for the FDM Back to Business Returnship here. 5 minutes with… Stephen Ingledew, Chief Executive, FinTech Scotland More of us than ever are working flexibly and you can too.